After preparing our Africa trip in Berlin, Germany, and after deciding for many reasons to change our travel route upside-down, we had shipped our 4×4 motorhome ‘Ubuntu Makasi’ in September 2015 to Namibia and test-drove it first time on African gravel roads to Cape Town to officially start our African adventure from here. We had our trusted mechanic with his comitted team in Cape Town working on it over the last weeks to make sure our engine, the heart of our unique zebracamper, is prepared enough to take us on our long African journey. Meanwhile, we have been starting filmshooting selected social entrepreneurs, African dancers and poets to share their inspiring stories as part of our film documentary of our African adventure. We also have been busy getting on more social media platforms, besides our facebook group, and are now officially on Twitter (@UbuntuMakasi) and Instagram, which makes sharing our exciting African journey with family, friends & followers much easier! So just follow us there if you not yet doing so already :)! And, just in time before we are starting our trip this Friday (4th. Dec 2015) departing for Botswana, we feel privileged to have been interviewed by various media channels and will be hopefully even featured in an upcoming newspaper article here in Cape Town! Here is the link to our first interview, by Melanie Akerboom from What a Mission: http://whatamission.com/2015/11/28/ubuntu-makasi-trip/. Finally, we are excited to have our first partners on board and also hope to win you and other supporters along our way to realize our dream and document our journey through film, as due to the unexpected shipping costs for our motorhome and having to do still some mechanical work on our engine, we would be grateful for any donations that you can easily give via this paypal link: http://paypal.me/UbuntuMakasi or via our newly created Gofundme campaign: www.gofundme.com/ubuntumakasi. 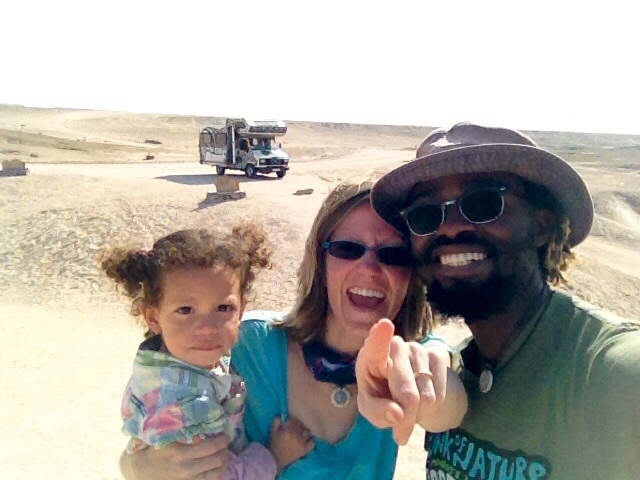 Looking forward to have you following our African family adventure :)!